Food, the most basic necessity of life, has also developed into a lucrative business. People no longer have time to cook due to their busy lifestyles, packaged food is gaining popularity. Concentrating on the target market and niche, one may decide to start a packaged food business in India. Today, there are lots of food varieties in the market. One must select which one to package and sell. In order to take a wise decision, one must investigate the food packaging business idea completely. Create a business plan: A business plan should include the strategies regarding management and operations of the business. This shall help to streamline ideas for future development and allocate budget efficiently. This must include a cost-benefit analysis of the business, industry trends, and an overview of the business. Select business structure: The selection of business structure will depend upon the nature of the business. 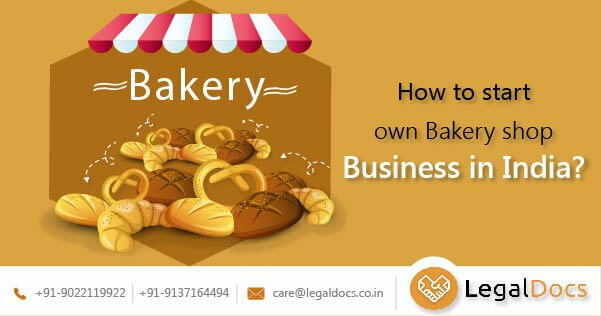 It is important to manage and operate business individually through sole proprietorship or one person company. Other than this, one may also choose limited liability partnership where funds can be pooled by more than one person. In case, the scale of operation is large, company form of business is best suitable. Depending on the type of business structure, one shall proceed for the registration process. The registration process for each structure is different. Various documents are required for Company incorporation. Post incorporation one shall proceed for other licenses and registrations in order to commence operations. Location of packaging unit: The location is important because many inputs used in the packaging units are perishable. It is important that the packaging unit is located such that inputs are received without deteriorating its quality. Equally important is the sale of the packaged products in the market. The location of the packaging unit should be placed such that it is in harmony with the procurement of raw materials as well as the sale of packaged goods. Bank Current Account: A current bank account is important for making transactions at the time of incorporation. All the tax returns filed after the incorporation are made through current bank account dedicated to the business. FSSAI registration: The Food Safety and Standards Act 2006 mandates food license to carry on business activity related to production, manufacture, processing, distribution, sale, import, export, and stock any food article or beverage. Specific rules and regulations have been defined for dairy business, meet processing units and hotels. Multiple declarations and resolutions are to be filed at the time of filing of an application for registration. Basic Registration: All small business or startups which have an annual turnover of INR 12 lakh and above require this registration. If the sales increases, the basic registration can be upgraded to the state license. State FSSAI license: Mid-sized companies with annual turnover of INR 12 to 20 crores are eligible for the state license. Central FSSAI license: Large businesses with annual turnover over and above INR 20 crores are typically eligible for central licenses. This is also required to supply goods and services to government offices, import, and export of food products. Small-scale Industry registration: The registration is done by Ministry of Micro, Small and Medium Enterprises. Micro, Small, and Medium Enterprises (MSME) registration gives recognition to these enterprises. All small units and ancillary units, which have plant and machinery of less than INR 10 million should seek this registration with the Director of Industries of the concerned State Government. The main purpose of this registration is to maintain statistics of such units and also provide various incentives and support schemes to these units. It thus becomes the responsibility of the state governments to promote and develop these enterprises. NOC from the municipal body: No Objection Certificate and Copy of License is mandatory for re labelers and repackers. GST registration: For any business, to carry operations lawfully, one must file for GST Registration. Returns have to be filed monthly, quarterly, and annually depending upon the registration requirement. Trademark registration: This is important to protect brands and slogans that are unique to the business entity or person. It can be obtained irrespective of the structure of the business. Only a registered owner of the Trademark is able to create, establish, and protect the goodwill of goods and services. It is important for the purpose of securing infringements. Hiring and training employee: FSSAI also organizes employee training program in food handling. For all those involved in the food sector and those who are aspiring food professionals must learn aspects of food handling through the supply chain, retail, and food preparation. Certificates are provided by FSSAI after the successful completion of the training program. Equipment: The machinery and kitchen equipment required in the food packaging business will depend upon the type of food article being packaged. Sometimes, there is a huge cost involved in procuring these machinery and equipment. There are various schemes provided by the government that helps in procuring the same. For instance, MUDRA loans may help small businesses to avail of finance in order to purchase machinery and equipment. Public Health Department inspection: FSSAI is under the control of Ministry of Health and Family Welfare, Government of India. It has set standards for food products based on science. Quality has been given prime importance such that the articles packaged are safe for human consumption. To ensure that the food business operator complies with the rules and regulations of FSSAI, regular inspections are done. In case, inspection reveals a failure in compliances, licenses may be canceled. In addition to this, there are penalties and imprisonment, which are levied depending upon the negligence made by the business operator. Small business association: Such associations aids businessmen in offering financial and technical assistance. Associations ensure that the business is not affected by the stiff market competition. Are you confident and Motivated enough to Start Package Food Business in India?